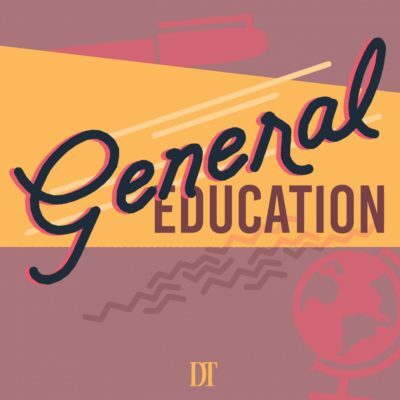 On the last episode of General Education by Daily Trojan, Viet Thanh Nguyen discusses the Asian American identity, refugees, and the USC community. Karan talks with University professor and Pulitzer Prize-winning author Viet Thanh Nguyen for this season’s final episode of General Education. Nguyen will start teaching at USC again next semester, after being on sabbatical leave. They discuss the Asian American identity, refugees and the USC community. Karan: Hey listeners, it’s General Education, and this is our final episode of the season. My name is Karan Nevatia, the host of General Education. For our last episode I wanted to do something special. We met up with Viet Nguyen, who’s a professor here at USC, who also wrote the Pulitzer Prize winning book, The Sympathizer, to talk about issues within the refugee and Asian American communities. Especially here in California and here at USC. Here’s the interview. 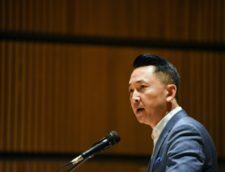 Viet Nguyen: I’m Viet Thanh Nguyen. I’m a university professor here at USC. I’m a writer and a professor. Karan: My first question is, your sabbatical, it’s ending soon, in January. What have you been doing on the sabbatical? What have you learned? What do you want to bring back to the university in your work? Viet Nguyen: Mostly I’ve been just trying to write the sequel to my novel, The Sympathizer. Been a little challenging because I think my life has changed after winning the Pulitzer Prize. There’s a lot more obstacles in the way. But making progress, and the sequel is set in Paris of an early 1980s. I’ve used that as an excuse to spend two of my summers in Paris for about 21 week altogether. Viet Nguyen: Besides that, the major thing I’ve been doing during my leave has been going around to give a lot of lectures at a lot of college campuses. Talking about not just my work, but really about some of the issues that have been very important to me, and which are very relevant today. Which are around refugees, immigrants, and war. That’s always been a major concern of my work for a very long time, and unfortunately these issues are still very topical. I’ve been just trying to give support to the cause of refugees, and do my best to pitch in to change our narrative about what America is supposed to be. Karan: You’ve published a lot of work. 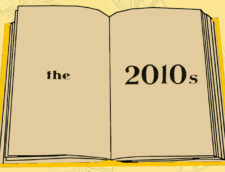 Short stories, books, essays, articles. Is there any that you feel are underappreciated in comparison to your other work? Are there any works that you would rather people know about, or are particularly proud of that most people don’t know about? Viet Nguyen: I think it’s reasonable that people are interested in the fiction, so The Sympathizer gets a lot of attention. Then The Refugees is getting some attention as well. But the book I mention, Nothing Ever Dies: Vietnam and the Memory of War, is very important to me. It’s gotten its fair share of attention. It’s gotten some prize nominations and won some prizes and all that. For a book published by an academic press it’s actually sold fairly well, but still much less than the fiction has. Viet Nguyen: When I wrote that book I wanted to write it, even though it was coming out through Harvard University Press, I really wanted to write it for a broader audience than academics. Going on the road, talking to a lot of people. It was very clear to me that there’s a lot of very intelligent people out there who are readers, book sellers, librarians. Just average readers, who are very intelligent but they don’t necessarily want to read your typical academic work, which is oftentimes laden with jargon and all that. Viet Nguyen: Nothing Ever Dies is a very serious work of scholarship, because it took me about 14 years to do the research and to write this book. But it’s also a book into which I’ve imported everything I’ve learned about writing fiction and telling stories. It’s born by the conviction that intelligent people can read serious books if we as academics meet them halfway by doing certain things, like telling stories. Viet Nguyen: There are a lot of stories in there. A lot of it is about my own personal journey through southeast Asia doing fieldwork, and my own autobiography is interspersed through there. But then there are some very I think critical arguments that are being made in that book about, what is war? How do we remember? How do we forget? These are issues that arose out of the history of the Vietnam war for me, but all those questions are relevant to any war, and certainly are relevant to the United States today. Karan: You’re talking about the difference between fiction and academic work. In what instances do you feel like one is better than the other? Viet Nguyen: I think fiction thankfully still reaches a large audience. People still want to be entertained. They still want to hear stories. They still want to be involved in characters. Despite everything that’s happening in terms of entertainment today, with TV and screens and podcasts and all that kind of stuff, fiction still matters. You still need to be able to tell a story. That’s what fiction does. People still respond to that. Viet Nguyen: Through fiction, especially fiction that can entertain, and that’s a very broad word. I mean, my entertainment might be different from yours and so on. But generally speaking, fiction that entertains can be very powerful because it gets us to empathize with people we’re reading about, but it also can be, the fiction can be a vehicle for ideas. 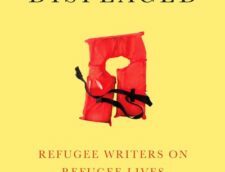 The Sympathizer and The Refugees are both books that are meant to entertain in different ways, but also to talk about certain kinds of important ideas about war and refugees and so on. Viet Nguyen: But non fiction can advance arguments much more clearly. You can tell stories or not tell stories through non fiction, either way. But you have the opportunity to say something very explicitly. In fiction that’s a little more difficult. Even in The Sympathizer, politically it’s a pretty explicit novel. I mean, I’ve used the genre of the novel to advance certain kinds of arguments in that book. But people still take it as fiction. When they hear me speak sometimes they think, “Wow. We didn’t realize you were as politically leftist or radical as we thought just from reading The Sympathizer, because that’s a novel”. I thought, “Well shoot, the ideas are very clear in that novel”. But people allow themselves to be insulated from some of the ideas sometimes because they think it’s just a story. Viet Nguyen: In non fiction you’re allowed, I mean you’re expected to say something very clearly and explicitly about the argument and about what you believe in, and people have to confront that. That’s one of the advantages of non fiction. Karan: I read that you grew up in the Bay Area, and I think that at least in my experience being Asian American and being around a lot of other Asian Americans, being Asian in California has some specific aspects to the culture and stuff. For example, a lot of kids in the Bay who are Asian American say the N word very often. I don’t know if you’ve ever heard of that. I’m wondering if you think there’s a difference between being Asian American and being Asian Californian? Viet Nguyen: First of all, why do you think Asian Americans in the Bay Area find it comfortable to say this word? I refuse to use a euphemism, because I really think that’s just become a pious way of avoiding dealing with the difficult issue of saying an epithet that’s just been fundamental to American life. I mean I’ve heard many people say it of many different backgrounds everywhere. But you think there’s more license to it as an Asian American to say this particular epithet against African Americans in the Bay Area? Karan: Well I don’t think they have license to. I feel like they feel like they have license to it. You know? Viet Nguyen: Yeah. I’ve seen it. I’ve heard it, in San Jose where I grew up. I think it’s partly because it’s urban culture. I mean, there are rural parts of California. I don’t go hang out there so I don’t know what’s going on there. But in the urban parts of California, Asian Americans of a variety of classes identify with certain kinds of so called urban cultures. Most typically through rap and hip hop and so on. It becomes a style. It becomes a way of identification. Even if these Asian Americans may not in particular affiliate with African Americans, may in fact be racist against African Americans, which is true and it happens, they use this particular word but also the entire style and lingo and culture of rap and hip hop culture. Viet Nguyen: Again, it’s a very typical American move. It’s been going on for a long time in American culture, that people of all backgrounds are racist against African Americans but will appropriate African American culture at the same time. The American studies scholar Eric Lott calls it an act of both love and theft. That we love African American culture but we’re going to steal from them at the same time, and obviously do worse. I think Asian Americans, in the bay area but I think probably elsewhere as well, are doing this very American move. But it’s inflected by being a minority of some kind. Viet Nguyen: You may not necessarily be a minority in the Bay Area. Like you’re probably, Bay Area culture and a lot of cities is a culture of no majority. Instead of minorities, right? But nevertheless, nationally as an Asian American you may still feel yourself to be not of the majority. I think there’s that complexity happening there. Viet Nguyen: Asian Americans in the Bay Area I think, and in many parts of urban California, are both a minority nationally, but they may feel themselves very comfortable in California being Asian American, which is so predominant here. Especially if you’re going to be a college destined Asian American, you end up in one of the UC or Cal State campuses, almost all of which have Asian American enrollments of anywhere from 20 to 50 percent. USC is sort of underrepresented in that respect, but we’re certainly still overrepresented compared to Harvard, as these current admissions controversies show. Viet Nguyen: There’s I think a huge cultural advantage to being Asian American in California, and those of us who are Asian American can take a lot of comfort in that. In the rest of the country, even including in the northeast, you’re still a minority. I think there in the northeast, but also obviously in many other parts of the country, Asian Americans can’t take being Asian American for granted. It’s still an identity or a culture that has to be contested, has to be fought for. They don’t take it for granted like we do here in California. Viet Nguyen: Ironically, simply because there are so many Asian Americans in California, people may not think of it as something to be fought for, this identity or this culture. That’s both good and bad. Here on this campus at USC for example, we have almost no Asian American studies majors. You go to other parts of the country, people want to be Asian American studies majors, or even in some parts of the UC campuses. But there’s some conflation of Asian American majorities, or at least a lot of Asian Americans, and then here at USC just our particular culture is a very privatized university, where being Asian American just simply becomes a lifestyle and not really a political choice. That is, again, both good and bad. Karan: Mm-hmm (affirmative). Yeah, that actually bleeds into my next question which is about specifically USC students who are Asian American. How do you view them differently from the general population of Asian Americans? Viet Nguyen: Well USC is its own particular kind of culture. This is a culture that is a university that is oriented around money, around careers, around networking. Around this euphemism of the Trojan family which is just, I can not say it with a straight face. This thing, I’m doing the symbol. What do you call this symbol? Viet Nguyen: The fight on symbol. Viet Nguyen: Victory, whatever. I can not take any of this seriously coming from Berkeley. I just, I almost didn’t apply for the job at USC back in ’97. “If it’s not, this is, who wants to be here? I’m from Berkeley. I don’t want to be at USC”. There’s still a huge cultural gap between let’s say UC Berkeley, my alma mater, and USC. USC’s great in a lot of ways and has a lot of strengths. But one of its strengths at the undergraduate level, one of the things it lacks at the undergraduate level I would say is a strong intellectual component. At Berkeley we have many, there’s professional schools. There’s sciences at Berkeley and so on. But there’s a huge, at the undergraduate level there’s a strong intellectual component. The undergraduates at the humanities and social sciences, they’re ready to grapple with theory. They’re ready to grapple with difficult ideas. They swamp the classes. They demand time from their professors. Viet Nguyen: None of that stuff, almost none of that is present here at USC. I find it very … That’s not to say that USC students are not smart. They are smart, and they’ve gotten a lot smarter. I’ve been here 20 years. In 1997 the average GE student in my classes was not that smart. Now the average GE student is, you know, kind of smart. There’s been a huge difference that’s been made. But there is not an intellectual atmosphere at the undergraduate level here. There are individuals who are intellectual and who want to go on to graduate school or do serious things and so on. But at the average, I’m just sorry to say, and you can correct me if I’m wrong, if I’m generalizing. I just don’t find it to be, at the undergraduate level, to be super intellectually stimulating. People are just too pragmatic here. Karan: Yeah. I can’t disagree. You recently wrote an article about the Blue Wave in Orange County because of Asian Americans. I was wondering how you sort of view Asian Americans as a political group in America and how it’s sort of changing now. Viet Nguyen: I think that I was a little trepidatious writing that article because I wondered, “Is it really going to happen? Are we …”, We, that is. I know I’m a reluctant Democrat, but anyway. “Are we going to turn Orange County blue?”. Republicans are losing more and more seats in Orange County. Again, that’s both good and bad. As a Democrat I’m like, “Yay. That’s great. We have a supermajority in the legislature here”. But I think in general it’s bad. I think that the country, and California, would be better off if we actually had a viable Republican party. If we had a Republican party that actually stuck to its principles of environmental conservation, of economic fiscal sobriety, of actual sober behavior. Of real family values”. We don’t have a Republican party that does that right now, and we need that unfortunately. Viet Nguyen: I think one of the reasons why California is pretty much by now a blue state is because the Republican party has just collapsed. It services white people, and it services white nationalism. People of color in California, including Asian Americans, see that. It could be ameliorated by many things, but the Republican party is also anti science. It’s, again, anti environmentalism. It’s anti climate change acknowledgement. If you’re Asian American you’re like, you’re coming … If the mono minority stereotype is true, you can’t accept any of this stuff. You can not accept the rejection of science and the rejection of what’s happening before your eyes and the destruction of our world. I think that’s one of the things that’s changed in the last 30 years or so for Asian Americans and the Republican party, and just for Asian Americans and politics in general. Viet Nguyen: 30 years ago Asian Americans were much more split between the parties, and that was because the Republican party actually was a Republican party. It advanced principles like good education, clean streets, equal rights, anti communism. All these things a lot of Asian Americans could go for. The Republican party’s not doing any of that right now, which means that Asian Americans who actually might be Republicans have to lean independent or Democrat because that’s, in a biparty system, that’s all that they’ve got. Viet Nguyen: Now that’s why you’re seeing pretty much the declining numbers of Republican party affiliations among Asian Americans. It’s not to say there are no Asian American Republicans. There are still a lot of Asian American republicans. But they’re declining. The moderates among the Asian American population are probably becoming independents. That is the general trend in Asian American politics, and the Republican party I think, as I said in that op ed, has a chance to reverse that if they actually became sensible and if they actually rejected white nationalism, and that they rejected their anti immigration policies. But you can not be a party that basically is explicitly or implicitly endorsing white nationalism, that is explicitly against immigrants, especially immigrants of color, and expect to win Asian Americans on the whole. Viet Nguyen: The Republican party has an opportunity to appeal to Asian Americans if they can reject these stances. But they’re not rejecting these stances. You know, Asian Americans are only starting to make their political presence felt. We’re roughly around five percent of the American population. That wasn’t true in the last census count, for example. I think things will probably change as these numbers grow. I mean, people just have to confront it. Viet Nguyen: On the one hand it’s a question of data. On the other hand it’s a question of perspective. The data’s there, that Asian Americans should count more. You should mobilize them just like you should mobilize Latinos. You should reach out to them. Viet Nguyen: Now Democrats, they have the opportunity to reach out more to Asian Americans. They’re not really doing that at this point. They could have a greater impact, and certainly Asian American advocacy organizations are saying, “You really need to do this. You really need to look at the nuances of Asian American populations around issues like dis-aggregating data so that we can see that Asian Americans are not the same ethnically or economically and so on. There’s still a lot more work to be done on the Democratic side. I already said what the problems are on the Republican side. But there’s still more work to be done on the Democratic side as well for reaching out to Asian Americans, mobilizing Asian American voters. Getting Asian American candidates out there as well. Karan: I want to talk a little bit about refugees. I feel like most students don’t consider the refugees who are students on campus. Last year I read an article about DACA students at USC, and many of them consider themselves to be refugees. There are about 100 of them. Do you have any messages for students who are refugees? Then also, is there anything you want to say to other students about how they can help refugees? Viet Nguyen: I agree. I think so many of the people that we classify as undocumented are actually refugees. But refugees, the category of the refugee is a very political category. There’s all kinds of details around it. There’s obviously a lot of investment in the United States to not acknowledging that people are refugees, because if we called undocumented, some of these undocumented folks, as refugees, we’d have to acknowledge what made them refugees in the first place. Everything that’s happening south of the border is a very complicated situation in which the United States has played a large role for much of the 20th century. Viet Nguyen: Many Americans refuse to acknowledge that. They refuse to acknowledge that somehow the United States’ economic, drug, military, and political policies south of the border have destabilized countries for a long time. Still doing it today, and these are creating some of the conditions by which people are coming from south of the border. Many Americans want to refuse that, but we have to acknowledge that. Viet Nguyen: Yes, many DACA students would probably be refugees from my perspective. What I would say to them is, I’m a refugee too. My situation is that I was a lucky refugee. I was a legally recognized refugee from Vietnam in 1975, and the reason why is because it was advantageous for the United States to accept southeast Asian refugees fleeing from newly communist countries, because it said, “Hey, we’re great. Of course these people are fleeing from communism to come here”. There’s no advantage for the United States government to say that about people coming from south of the border. That doesn’t mean that DACA students and undocumented students don’t have a claim. A moral claim. A political claim to being refugees. It’s a long fight. There are people like me who acknowledge refugees, who continue to acknowledge ourselves as refugees, who will stand up with DACA students. Viet Nguyen: It’s important to acknowledge that there are probably DACA staff and DACA faculty as well, and they don’t have the advantage or the luxury of standing up without penalty and being visible as we do who are legally acknowledged refugees. What I would say to those who are not DACA or undocumented is to say, we have to support our fellow, here, I’m going to say it, our fellow Trojans. Our Trojan family. You know. Refugees are Trojans too. All right? We’ve got to stand up for that. Stand up for our fellow students, faculty, staff who are DACA if we believe in these causes. Viet Nguyen: I believe in them. I believe in these causes. I believe there are a lot of Trojan students who believe in these causes too. It’s a small thing I think to stand up for our fellow people who are in need of acknowledgement and in need of our support. It’s a small thing that so many people don’t do, don’t think about. Then from these small things larger things happen, including standing up for other causes and for other people that we believe in once we leave this campus. Karan: I want to talk a little bit about Crazy Rich Asians, and Asian American representation in media. I really love the term narrative plenitude that you came up with. I was wondering if you could sort of explain that for students, and then talk about how Crazy Rich Asians and other Asian American films and TV, like did you watch To All The Boys I Loved Before? Karan: Have you heard of it? Viet Nguyen: Yeah, heard of it, yes. Karan: Media like that, how is that changing that for Asian Americans? Viet Nguyen: Okay, so I grew up in the Bay Area in the 1970s and 1980s in San Jose, which is a very diverse city, back then as well. But even so, it was a time of narrative scarcity. I’ll give you an example. I went to a primarily white high school back in the day, Bellarmine. Also an all boys school. That was its own problem. But anyway, I’ll just talk about the race issue here. There were a handful of us who were of Asian descent back then, and we knew we were different. We just didn’t really know how to articulate that in a good way. Everyday at lunch we would gather in a corner of the campus, those of us of Asian descent. We could call ourselves the Asian Invasion. That’s the only story we had for ourselves. A story that was obviously taken from racist American narratives in stories and politics and Hollywood and so on, about Asians invading America. Viet Nguyen: The irony obviously was that we were only here in the United States because America had invaded Asia. We weren’t invading America. But that’s the only story we had. That was narrative scarcity. In the 1970s and 1980s, if you’re just talking about Hollywood, there were almost no representations of Asian Americans, and when they were there they were racist. Everything from Long Duk Dong in 16 Candles, to all the Vietnam war movies that had come out there. We were there. There were a lot of Vietnam war movies so there were a lot of Vietnamese faces or Asian faces on the screen. But we only existed to be killed. We never had anything to say. That’s narrative scarcity. Viet Nguyen: Narrative scarcity is when almost none of the stories are about you. Narrative plenitude, the opposite, is when almost all of the stories are about you. You know that you are a part of the majority when almost all the stories are about you. That is a privilege that people in the majority take for granted. In that environment of narrative plenitude, it doesn’t matter if there are bad stories out there. You know, you go, “Oh. There’s a crappy Hollywood movie. That’s what Hollywood does. Who cares? Let’s go watch the next one”. But when you’re part of the minority, whatever minority we’re talking about, and you’re living in narrative scarcity, if there’s even one story about you, if we’re talking about Hollywood, it’s enormously important. Enormous weight are put on these kinds of stories, such as Crazy Rich Asians. Viet Nguyen: It’s kind of a shocker that in the span of 25 years we’ve had Joy Luck Club and then Crazy Rich Asians as these two bookends of movies that are primarily Asian Americans, and whose director and writer are Asian Americans as well. We’ve had other things in between that have had Asian American casts and so on, like Oliver Stone’s Heaven and Earth. But they haven’t been made by Asian Americans. Crazy Rich Asians is fairly unique in that regard, in terms of being a blockbuster. There’s obviously a lot of Asian American independent movies, but this is a big budget Hollywood production with a lot of money going around behind it, and so it has an unfair burden placed upon it. Viet Nguyen: Everybody’s like, “Crazy Rich Asians better be a good movie. Because if it’s a bad movie, we’re not going to see another Asian American movie for 25 years”. That’s an unfair expectation. Because your average Hollywood actor, star, can go out and make a bad movie. Could be a bomb. Then that guy can go out and make another bad movie. You can make a whole string of bad movies, and you’ve still got a job. But if you’re living in narrative scarcity, if you’re a minority, if you’re Asian American, if you screw up, that’s it. Your career is toast. You’re not going to get another chance. That’s another sign of narrative scarcity. Viet Nguyen: Fortunately for us, Crazy Rich Asians was at least an average Hollywood movie, okay? I don’t think … I have to admit I haven’t seen it yet. But let’s say it wasn’t a masterpiece. Let’s just say it was your average Hollywood romantic comedy. That’s all we needed. That’s all we needed. Because it was an average romantic comedy let’s say, but with good looking people and Asian Americans and it was a big box office success in the United States, we’re going to see a lot more movies like it. I heard it myself from my own film agent and from other people working in Hollywood. This is the moment, right? Viet Nguyen: It was enormously important that we even have an average romantic comedy out there, because the atmosphere of narrative scarcity is such that we need that just to move us forward. Hopefully we will be seeing more movies like that. Karan: You mentioned Asian American literature. This winter what book recommendations do you have for students who want to get into Asian American literature? Karan: Yeah, I’m actually taking it with professor Lessman right now. Viet Nguyen: Yeah, and she was my former student so she’s great. But you know, I used to teach Maxine Hong Kingston, The Woman Warrior, and Jessica Hagedorn and Dog Eaters, and David Henry Wong and Butterfly, which is being revived in Orange County at South Coast Reps. Definitely go see that if you can. There might still be a chance for people to see Viet Gone at East West Players in downtown or in Little Tokyo. I saw that as a production in San Diego. This is literature too, it’s theater. It’s a great production. It’s like an Asian American rap musical about refugees from Vietnam in 1975. It’s a lot of fun. There is a good Asian American theater scene that’s happening here as well through East West Players. There’s no shortage of Asian American works out there. Karan: This question might be a little ironic because I’ve only been asking you about Asian American and refugee issues. But are there other issues that you wish people asked you about, or wish that they talked to you about, rather than just those? Viet Nguyen: I think that as a writer, obviously I do wish people would talk more about writing. More about literature. More about writing and reading and aesthetics and things like that. I wish people would talk more about Nothing Ever Dies and the intellectual ideas around there that are going around in that book about memory and art and politics. But I recognize that part of what I do is to do the work of the so called public intellectual, who’s going out there to talk about the big issues that people care about. Karan: Is there anything you want to say about one of those topics? Like memory or writing? Viet Nguyen: Well you know, I think we are a country that’s been at war since 2001. Kind of hard to believe. I mean, this is the longest war ever in American history. Whatever you want to call it. We don’t even have a name for it, right? But we are now officially in the age of perpetual war. Forever war. This is a reality for Americans. A reality in which we’re at war but we feel like we’re not at war, most of us. 97 percent of us who have never served in the military, and the overwhelming majority of people don’t even have relatives in the military right now. Viet Nguyen: This is a serious political and ethical and moral problem that we have as Americans, to be living in a country that’s always at war. To be spending enormous amounts of money on the military industrial complex. More than the next 10 countries combined. Yet it’s a reality that most Americans turn away from. Nothing Ever Dies really does talk about that. What are the ethical and moral problems of living in a society at perpetual war? Of living within a military industrial complex. Viet Nguyen: What I say in that book is that memory and forgetting are really crucial to this, because we always remember but we always forget. We can’t remember everything all the time. We just passed Veterans Day, Armistice Day. We passed 9/11 just a couple months ago. These are occasions that bring out memory. Let’s remember the veterans. Let’s remember the soldiers. Let’s remember the victims of 9/11 and so on. But we always have to ask ourselves in that moment, “What are we forgetting?”. We’re forgetting that we’re at war. We’re forgetting that we’re at war for the past 17 years. We’re forgetting that yes, 5000 American service people or so have died in the past 17 years, and 3000-some Americans have died during 9/11, and dozens of others in other kinds of incidents and so on. Viet Nguyen: But you know, hundreds of thousands of people in the Middle East have died ever since our first war in Iraq. Since 1991. We don’t know that. We don’t remember that. We don’t remember how many bombs we’re dropping in the rest of the world. This is a problem, and our responsibility as citizens is to think about remembering and forgetting. Not just ourselves, but others. Because if we only remember ourselves, if we only remember Americans as being victims, that makes us feel better and also continues to justify our continual presence conducting war. Because we feel that we are right to do these kinds of things, because we don’t think about other people in other places. Karan: Great. That’s all the questions I have. Is there anything else you want to leave students with? Viet Nguyen: Fight on. I say that with tremendous sarcasm in quotation marks. Okay. Karan: That’s all for this week, Trojans, and that’s all for this season. I want to thank Viet Thanh Nguyen for joining us on today’s General Education, and I’ll see you all next year when we come back with a new season of General Education. Speaker 3: This podcast was produced by Karan Nevatia, Natalie Bettendorf, Carrie Nguyen, Jonathan [Shuay 00:29:53], and Alan Pham. Thanks for listening.